When you think Amish Country furniture, you may not even think of the fact that this could include outdoor furniture. In that case, you may be pleased to know it does. 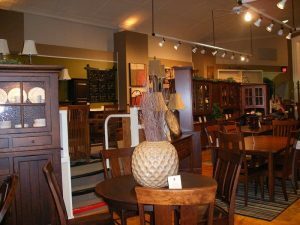 You will be glad to know that at Amish Originals Furniture Company, you can find furnishings for outside your home as well as inside. You can have the same attractive, top quality furniture you want gracing your home’s interior also decorating the outside. You can shop online or in our Westerville Ohio showroom to view the extensive collection of quality handcrafted furnishings. Shop among the huge variety of outdoor pieces as well as indoor furniture. You can choose to shop from either our treated pine collection or the poly lumber pieces. Whichever you choose, you can be certain you are getting the best in Amish furnishings to make your backyard as inviting, not to mention stunning, as the indoors. What Amish country furniture do we have for your outdoor needs? You can shop from rockers, benches and gliders, just to name a few. We go way beyond the basics however. You can also shop for end tables, coffee tables, potting tables and so much more. If your patio, porch or outdoor entertaining and seating area is in need of some furniture, you should shop for the quality and hand craftsmanship that makes Amish country furniture so well known and well loved. When it comes to your home furnishings, you know you can rely on the Amish Originals Furniture Company name. We have been the trusted link between quality handcrafted Amish furniture and happy customers since 1992. Our Columbus, Ohio showroom is available to you whether you are shopping for a single item or need to refurnish your entire home. First time home owner? Trust our knowledgeable staff to help you decide which pieces can help you create the look you want. Whatever your needs, we have got you covered at Amish Originals Furniture Company. Get the selection you want by shopping with a showroom that has selections from more than 70 Amish families from throughout the Northeast Ohio region. What you get by shopping with us is the best in quality craftsmanship handmade furniture, not to mention, furniture crafted from the finest and sturdiest of the American hardwoods. When you select your pieces, you can choose from the wood and the finishes available to make your furniture shopping experience that much more personalized. Stop by our Westerville, Ohio showroom and start picking out your selections, today. The beauty of Amish crafted furniture is that it gets built after you choose your pieces, wood and finishes. There really is no better way to get beautiful, quality pieces that are more than furniture; they become heirlooms to be passed down through the generations. Stop by and take a look at all the fine selections you can choose from for your home, inside and out, when you choose us as your Amish country furniture store. Feel free to window shop online at amishoriginals.com and sign up for our newsletter to receive special product news and promotions.